BearCom is advising retailers and hospitality venues on how they can elevate their customer experience by equipping their staff with the Motorola DLR digital two-way radios. The new DLR radios allow staff members to immediately respond without having to leave their customers’ side. The new DLR digital two-way radios (walkie-talkies) are small yet powerful; these will ultimately improve in-store communication which will lead to more sales and bottom-line profitability. BearCom, America's only nationwide dealer and integrator of wireless communications equipment, is advising retailers and hospitality venues on how they can elevate their customer experience by equipping their staff with the Motorola DLR digital two-way radios. The new radios allow staff members to immediately respond without having to leave their customers’ side. License-free operation, retailers pay no regulatory licenses or administrative fees. The radios are designed for easy operation, great for training new employees to get them on the retail floor serving customers, sooner than later. The DLR digital radios deliver an extended reach of clear communications, both indoors or outdoors, covering up to 300,000 square feet/20 floors. Enhanced audio clarity by operating in the 900 MHz ISM. This allows the retail staff to enjoy clear communication and extended range without static. Security and asset management is also enhanced with the powerful new DLR radios. Staff can quickly communicate potential or observed security issues. With a sleek and lightweight design, the staff can wear it conveniently on their belt or carry in their pocket. New ‘hopping’ technology that continually changes frequencies is used, making it virtually impossible for unauthorized parties to listen, keeping conversations private. Other special features of the new DLR digital two-way radios include: private reply, direct call, rugged business design, instant mute, extended 14-hour battery life, comfortable ear pieces, and antimicrobial protection. For more information on the new DLR digital two-way radios, contact BearCom at 800.527.1670. BearCom provides a broad line of high-performance wireless communications products, services, and complete mobility solutions. 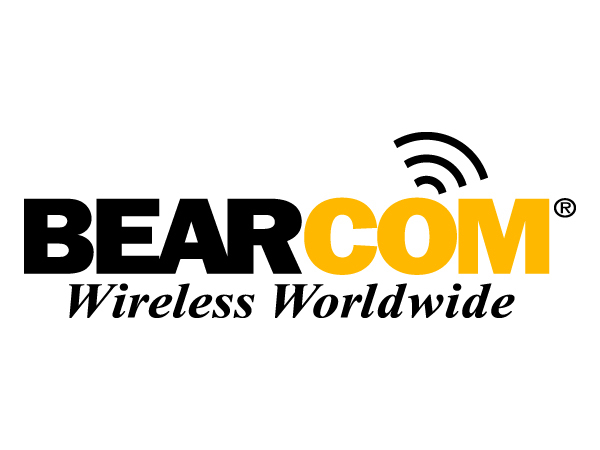 Founded in 1981, BearCom is America's only nationwide dealer and integrator of wireless communications equipment, serves customers from 29 branch offices located throughout the U.S., has several affiliated offices around the world, and employs approximately 360 people. BearCom is headquartered in the Dallas, Texas area. For more information, visit http://www.BearCom.com. MOTOROLA, MOTOROLA SOLUTIONS and the Stylized M Logo are trademarks or registered trademarks of Motorola Trademark Holdings, LLC and are used under license. All other trademarks are the property of their respective owners. ©2015 Motorola Solutions, Inc. All rights reserved. 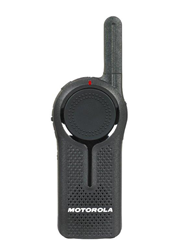 BearCom is an authorized Motorola Business Radio Reseller BearCom is advising retailers and hospitality venues on how they can elevate their customer experience by equipping their staff with the Motorola DLR digital two-way radios.